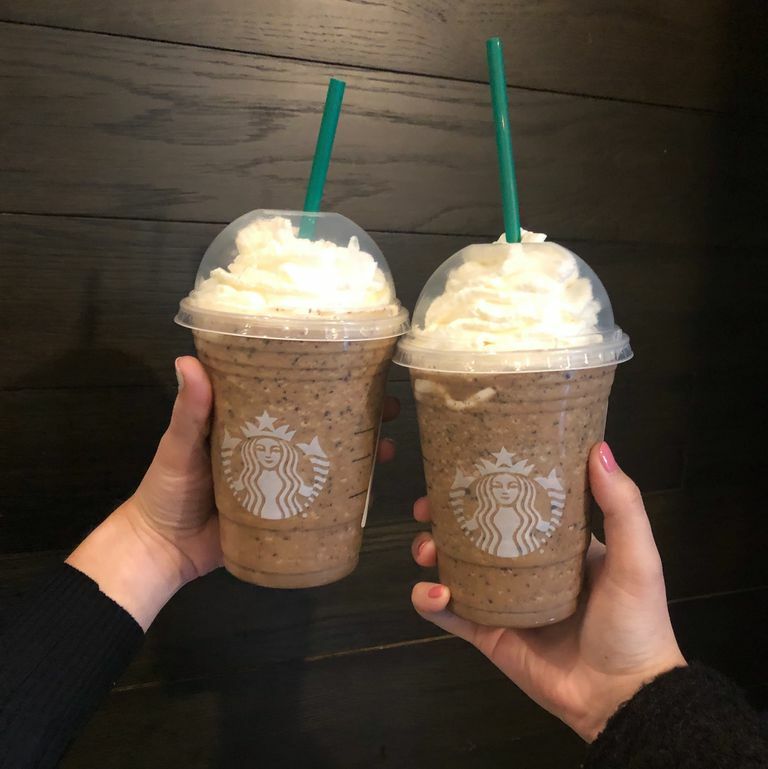 If you’re a regular fan of Starbucks, then you may already know that there is a ‘secret menu’ out there, where people have incorporated popular drinks and turned them into weird and wonderful concoctions, and the latest craze that is sweeping the world is the Creme Egg Frappucino. While not confirmed as an official menu item by Starbucks themselves, people have been taking it upon themselves to bring a Creme Egg along to the store, and getting the baristas to put it inside their regular frappucino order. I don’t know about you, but I think that’s bloody genius. The Starbucks Secret Menu website is run by fans and not the caffeine shop itself. But like the Pink Drink, if it’s ordered enough by the people, they may just make it an official menu feature. If they won’t add an egg to your order themselves (which TBF they’re probably very busy enough as it is], this is what you need to ask for in able to get yourself a Frappuccino that tastes just like the sweet treat. First request a Java Chip Frappuccino then add Frappuccino Roast (one pump for tall, two for grande and three for venti). Next add vanilla syrup (one pump for tall, one and a half pumps for grande, two pumps for venti). Then ensure there’s some caramel syrup (half a pump for a tall or grande, one pump for venti and one and a half for venti) and finally vanilla bean powder (two scoops for tall, three for grande and four for venti). Delicious? Obvs. Thanks to Delish for discovering this amazing feature.